Thanks for the posting. Can you send me a PDF copy of the 2005 Polaris 800 Sportsman? Thanks again! Is there a link for an 2000 scrambler 4x2 SERVICE manual. The owners manual might be helpful also. Did not see in the links at top of thread, and THANKS! Does anyone have a 2000 Polaris XPLORER 400 4x4 Service Repair Shop Manual. I need help! Thanks for the help Blackie. Hey do you know where I can find assembly instructions or routing diagrams for the same machine? Are they strictly Polaris features that are in Pure Polaris manuals? I just purchased a Polaris Sportsman 500 4x4. The ser # is 9831679 & product # is EH500PLE0704151. I have no idea the year? I also have some electrical problems and really need a repair manual. Is there any way you can help? It would also be nice to have the operator manual? It was sold to me as a 1997-98. 2007 is 10 yrs newer. Maybe I don't know where the vin # is. The #s I put on the post was off the right side of the motor. The 2007 is fuel injection. The unit I have has a choke. This tells me it has a carburetor. Is there another place I need to look for the vin # on it? Maybe you can help with my issues? I'm having problems with the start button and lights. I can turn the key on and hot wire it and it starts and runs great. thats sad, anybody have the manual for a 2002 Sportsman 400 ? or does anyone have a new link ? I saw a link for the 2004 Sportsman 400 AQ service manual but it was old and broken. Would ya help me out please? Then that will have to be close enough. Thank you. 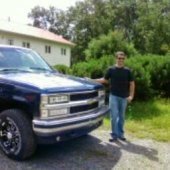 Could you please post a link for a 1994 400L 4x4?